You’re on LibDib. You’ve posted your products. You’ve created a nice-looking page. You’ve figured out a competitive retail price. What’s next? Selling. Ugh you say. We hear you and that’s why we want to put in our two-cents about selling. Many Makers assume that once you get a distributor, they do all of the market work for you. Wrong! With any distributor, you still have to work the market. It’s part of owning your own brand. 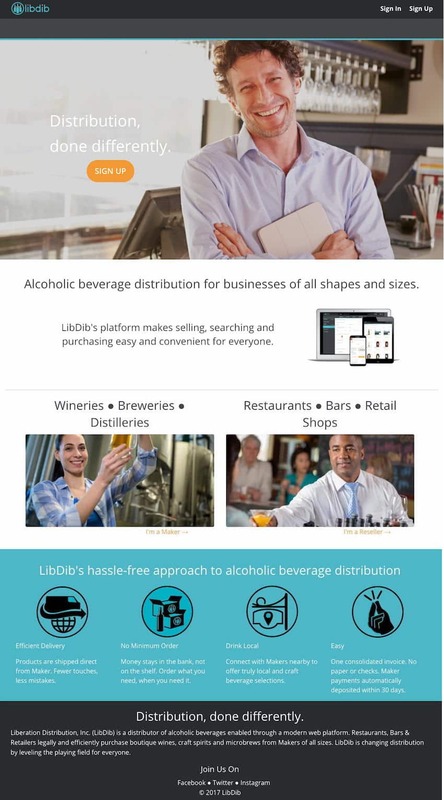 A typical distributor would require you to create a go-to-market plan and while LibDib.com isn’t traditional, we want you to be successful in selling your products. So, what’s your plan? Create a target list of accounts and go after them. Hire a broker who will charge you a percentage fee but will work the market for you. Hire a sales person who will charge you a percentage and an up-front fee. Which option is best? Well, it depends. When I was selling my family’s wine brand, Vegan Vine, I set up a sales plan that included targeting vegan restaurants. I would give them a call, follow them on social media, look at their menus, and just try to determine where their interests lie. I would then work hard to build a relationship with them. For more of my rambling about how to work a market go here. Incidentally, my next blog post will include my creative ideas on how best to work a market. If you hire a broker or a sales person, they will work the market for you, hitting the street and creating a relationship. For many Makers, using a broker is super helpful. They do the dirty work and serve as your experts. You can work the market with them several times a year. Brokers make sense for a lot of people. You can also hire a sales person or sales team to help you out. An independent sales force will work for your brand and call on the accounts that are most likely to buy your products. Log in to the platform for a list of brokers we currently recommend. And, if you are a broker who works in California and New York and you would like to be included on this list, please email is at libdib@libdib.com. Remember a goal without a plan is just a wish so make a plan that works for you. Best of luck selling!